WORK SMARTER WITH SAGE PASTEL PARTNER! The combination of ease-of use, innovation and flexibility makes Sage Pastel Partner the perfect accounting software solution for small and medium sized businesses. 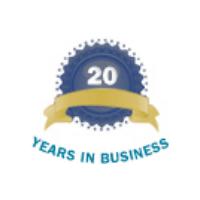 Sage Pastel Partner is more than traditional small business accounting software. It is an integrated small business accounting software solution that helps small and medium sized companies manage their business and gain control. Suited to a multi-user and multi-company environment, there are various modules which can be added on to Sage Pastel Partner so that as your business grows so too does your financial accounting package! 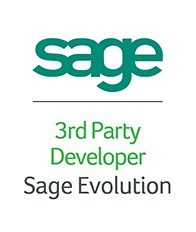 Sage Pastel Partner is developed with your specific business environment in mind. Sage Pastel Partner comes with a single user and unlimited company licences with the ability to purchase up to 20 additional user licences. You’ll be able to store 5 years of transactional data while being able to process the current financial year as well as one back. You can create a maximum of 30 cash books and the inclusion of a General Ledger goes without saying. We appreciate that in order for your company to run smoothly, you’ll need software maintenance and support. By partnering with UniSource Software Services Mozambique, you can rest assured that you are dealing with real people with a wealth of experience in supporting businesses running Sage Pastel Partner. Unlimited telephonic support and free software upgrades are just some of the benefits and it’s all included in your annual licence fee agreement. Sage Pastel Debtors Manager is a debtor management system suitable for any business in any industry seeking to optimise the debtor collection process. Sage Pastel Debtors Manager debt collection software has been designed to instantly implement tracking and control in your debtors collection department. Unlike other products which tend to focus on the macro level, this is a hands-on practical system that automates the daily control of the debtors book. Get paid and improve your cash flow – with Sage Pastel Debtors Manager, there are no more excuses! It’s business as usual when dealing with foreign customers and suppliers with Sage Pastel Partner’s Multi-Currency add-on module.. The Multi-Currency module can process in 30 currencies and allows you to define a currency for each customer, supplier and bank account. This module is fully Euro compliant and supports European Union processing. With the Time and Billing Add-On module to Sage Pastel Partner accounting software, simply complete timesheets for employees and charge your customers via activities. The activities that you create are the services you sell to your customers. These activities per employee timesheets can be used to create customer invoices. Sage Pastel’s timesheet management software is useful in any environment where chargeable hours can be billed to customers. The Time and Billing module is very handy project management analysis software. You can monitor staff time and attendance, staff productivity can be analysed through standard reports, and exceptions reports can be run with the timesheet software for rates that vary from the default rate. Fixed assets are physical items such as desks, computers, cars, and machinery which you acquire to run your business. South African Company Law requires that you keep a register of your business’ fixed assets as part of its accounting records. However, business fixed asset management can be tedious and time-consuming. As you use assets, they depreciate or become obsolete. You can legally expense depreciation in your accounts for tax purposes. Sage Pastel’s fixed asset tracking software module takes care of all of this for you. Once you provide the initial information, the fixed asset management system takes over and manages your assets for you. One of the realities of fixed assets processing is that companies frequently change depreciation rules as legislation allows and as company policy changes. Some changes are retroactive to when you purchased the asset. Sage Fixed Assets calculates its values dynamically from the start of each asset’s life, which makes retroactive changes simple. Imagine the time required to accurately programme all this yourself into a spreadsheet! Together with the Inventory module, the Sage Pastel Partner Bill of Materials module gives you access to two related functions: Bill of Materials and Kit Item Codes. With the Bill of Materials module, you can build, assemble, or manufacture any inventory item using other inventory items as parts or components. The Kit Item Codes allow for the specification of one code on an invoice, and the system leads multiple invoice lines that can include inventory items and remark lines. You can also create Bills of Materials or Kit Item Codes with an unlimited number of components. How can Sage Intelligence Reporting help you? 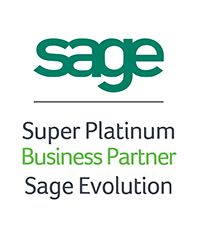 Want to know how Sage Pastel Partner can benefit your business?